Expats currently number about 2% of the country’s total population, with most coming from Nicaragua, Colombia and El Salvador. It is wise to obtain professional services when considering moving to Costa Rica to avoid costly and time-consuming errors and delays in processing – expats can compare quotes and services of the best companies here. 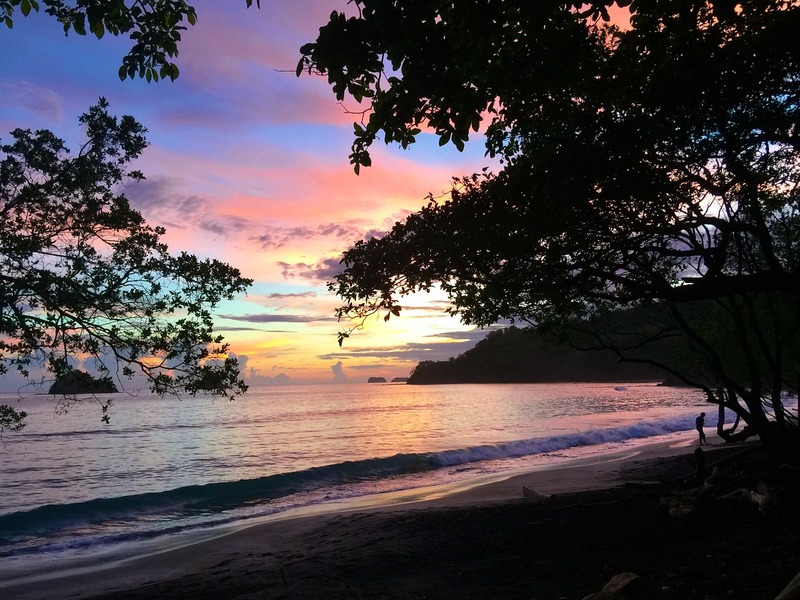 Costa Rica is living up to its meaning as the “Rich Coast,” endowed by rainforest wilderness, a spring-like climate, astonishing landscapes, majestic volcanoes and idyllic beaches. It is nature at its best. This tropical paradise ranked as the greenest and happiest nation by Happy Planet Index; Costa Ricans have the best ecological footprint, the highest life satisfaction in the world and high life expectancy (which is currently at 78.5). With a total land area of 51,000 square kilometres, Costa Rica is surrounded by the Pacific Ocean and the Caribbean Sea. It is straddled between Nicaragua to the north and Panama to the south. A total of 25% of Costa Rica's land area is protected, as it contains 5% of the world's biodiversity. Being the most visited nation in Central America, Costa Rica is the pioneer in eco-tourism. It also boasts of a pleasant climate all year long, which is a treat for all nature lovers. Costa Rica's thriving economy heavily depends on tourism, agriculture and electronic exports. The country is known as the principal producer of banana and coffee. Today, Costa Rica's diverse industries are primed on electronics, pharmaceuticals, financial outsourcing, software development and eco-tourism. It's the home to companies like Procter & Gamble, GlaxoSmithKline, Intel Corporation, Abbott Laboratories and Baxter Healthcare. Major job industries in the country are related to microprocessors, food processing, medical equipment, textiles and clothing, along with construction materials, fertilizer and plastic products. Classified as a middle-income country, Costa Rica is politically stable under a democratic republic government. Costa Rica has been army-less since 1948, and no history of terrorism has been reported since the abolition. Since Costa Rica's declaration of neutrality, only the police and the coast guards are retained to perform their respective duties. 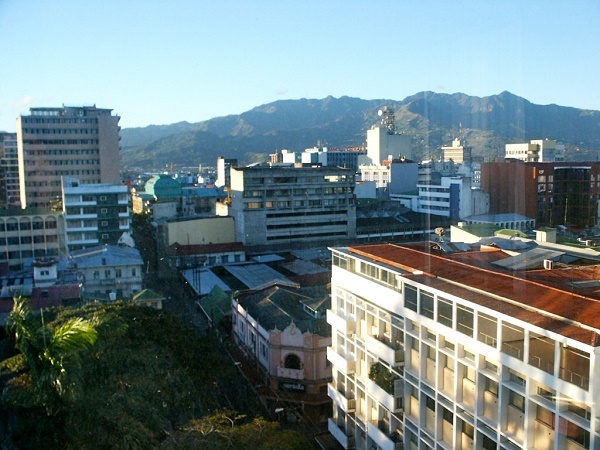 As a developing country, Costa Rica has a high inflation rate and ranks fourth in Latin America. The Instituto Nacional de Estadística y Censos (INEC) reported the inflation rate at 8.2% (July 2008 to June 2009), this statistic showed the lowest "inter-annual" rate for the last seven years. Roman Catholicism is the official state religion. With a population of 5,009,490 people, around 70 to 90 percent of Costa Ricans are Catholics; other religions include Protestantism, Judaism, and Islam. Expatriates make up 10% of the population. 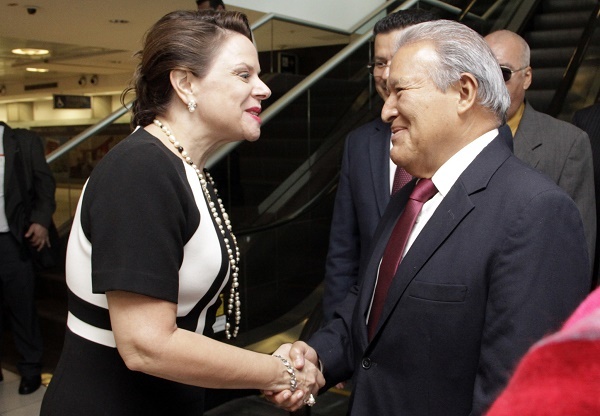 Costa Rica attracts foreign investments due to the country's high literacy rate and the government's tax exemption to investors. Also, having the same time zone in the central part of America resulted in a two-way trade agreement between Costa Rica and the US. In 2007, the trade between the two countries exceeded US$8 billion. A typical trait for Costa Ricans is their love for their country, and democracy is their most treasured institution. Most Costa Ricans are referred to as Ticos (male) and Ticas (women), derived from hermanticos or hermanticas, which means little brother or sister. Expats will be pleasantly surprised to find that most locals are friendly and loyal. In Latin America, men have a reputation for "machismo," defined as an inflated masculinity. Traditionally, it still exists in the Costa Rican culture, although one can say it has been replaced by modern day liberalism. Still, women expats are advised to dress appropriately and to act like typical ticas. Expats who move to Costa Rica will find that the country's wealth is not only found in its natural beauty, but also from the hospitality of its people. Foreigners relocating to Costa Rica have to meet a few regulations regarding the goods they bring along with them. Expats who are utilizing an international moving company for a move to Costa Rica will find that personal luggage will not be charged any duties by customs as long as items are proven to be for personal use and in possession of the owner for at least 60 days. A customs declaration listing all shipped items is required, including foodstuffs and biological products such as serums, vaccinations and the like. Household appliances, however, are taxable and dutiable, except when the owner is a diplomat or is a government or international organization official or member. Costa Ricans who are returning home after at least two years of staying overseas will not be paying duties for household goods but will be paying some taxes. Customs may allow the temporary import of certain items including firearms, medications, religious materials and others but regulations are very strict. Most items do not require any documents, but food products, pharmaceuticals, cosmetics, and chemical products do have to come to an import license issued by the Costa Rican Ministry of Health. Food products also have to be registered with the same ministry and must come with a phytosanitary and health certification while a license from the Costa Rican Ministry of Security is to be secured for firearms and ammunition to be allowed entry. These documents will be scrutinized by customs officials, items will be classified, and duties and taxes assessed before items will be allowed entry. Costa Rica's wettest months are May through November so those travelling within these months should bring an umbrella. There's no need to bring mobile phones because the country's network provider is a government monopoly and is not linked up with international networks. An electric converter and adapter will be very useful though. Also referred to as the ‘Happiest Country in the World’, Costa Rica is highly reputed for its unwavering love for the environment, biodiversity, freedom and democracy. This small, yet ultra famous Central American nation boasts a beautifully diverse culture that has a dash of Spanish, Jamaican and Chinese influences. Costa Rica is dubbed as the green paradise that continues to attract foreign nationals from all parts of the world. Aside from its promising economy, this country’s major selling points are its affordable housing and cost of living as well as excellent health care system. Costa Rica has a total of more than 4.8 million residents, and all of them enjoy a life that thousands of tourists can only wish for. Living in this country means enjoying the year-round pleasant weather and picturesque sceneries as far as the eyes can see. Children do not only spend time in their international schools in Costa Rica, but also take advantage of the scenic nature that the country has to offer. Children can go for hours cruising on Drake Bay on the Pacific Coast and marvel at unique marine creatures such as the bottlenose dolphins which they won't find elsewhere. Or they can enjoy the wild by hopping on board for a Puerto Viejo de Sarapiqui Wildlife Boat Ride where they can watch monkeys, sloths, and other amazing creatures. Driving up the crater of an active volcano is another hot attraction for children when they see the hot fumes swirling like clouds while they munch on their favourite snacks. They can even buy some mementoes from a gift shop nearby. For those who enjoy an adrenaline rush, they will get it doing sky trekking where they get to be like the monkeys. At the Monteverde Theme Park, they can swing from tree to tree or whiz through zipping lines while being suspended 400 feet off the ground. Costa Rica also offers cosmopolitan thrills such as bump car or rollercoaster rides in a city amusement park, but what kids always enjoy are times they spend exploring and being educated by the wild. Costa Rica prides itself on having miles and miles of beaches. A top on the ‘must visit’ list is Corcovado, a black sand beach embraced by the thick Costa Rican rainforest. Expats who love to surf will also find a haven in this country once they visit the famous beach town of Dominical. Other world-renowned attractions for beach lovers are Tortuguero, Playa Grande, Montezuma and Tamarindo. Scuba diving is a famous activity in Costa Rica, and expats who love this sport can head to Cocos Island which is considered as a national marine park and the only place in the country where people can spot schooling hammerheads. Fishing is also a great past time in this country. Aside from having the some of the best Sports Fishing in the world, Costa Rica is also the first to practice the ‘catch and release fishing’. Costa Ricans or the 'Ticos' tend to be very laid back and easygoing. Some expats in Costa Rica feel uncomfortable about this, especially in the workplace where punctuality could be an issue. But, if anything, this is only a sign that these people know how to enjoy life with small, but happy steps. This attitude is also evident in their cheek-touching ways when greeting each other. To put it simply, they are warm and loving people and would even kiss into the air when showing affection to someone who is steps away. Even with their happy and cordial demeanour, Costa Ricans can be very particular about certain values and have their local customs and etiquettes that expats may want to remember. As a guest, for example, it is expected that one stand by the door and wait to be invited in before entering. A guest may ask permission to come in even when entering a friend's home. For them, this is a sign of respect for the host, and they wouldn't mind having to stand in the doorway and wait rather than barge in and be branded as rude. The same goes for leaving after a visit or after a party. Locals usually do this with an appropriate kiss for each person, unless there's too many of them in a party. Still, a kiss on the host's cheek is always appreciated. In general, locals pride themselves as a "polite and cultured" race, which is something that expats who move to Costa Rica can be proud of as well with their new home. Expats may find that compared to US, Canada or Europe, the cost of living in Costa Rica is less expensive, but nevertheless, it depends on one's lifestyle. The local currency is Costa Rican colón or "₡". A passport is needed if you need to change your dollars in colones in Banco Nacional, Banco Popular or Banco de Costa Rica. Expect banking transaction to eat your time, especially in state-run banks. Common banks in Costa Rica include the Banco de Costa Rica, Banco Nacional de Costa Rica, BAC San Jose, Citibank Costa Rica S.A. and HSBC Costa Rica. Requirements needed to open a bank account in Costa Rica include an Identification (DIMEX ID card), the required minimum deposit, a utility bill, proof of Income and U.S. Tax Forms for US citizens. Interest rates range from 0.23% to 2.26%. Dollars are accepted in stores and taxis, but expats should be cautious when paying in cash, as some merchants do not give change. 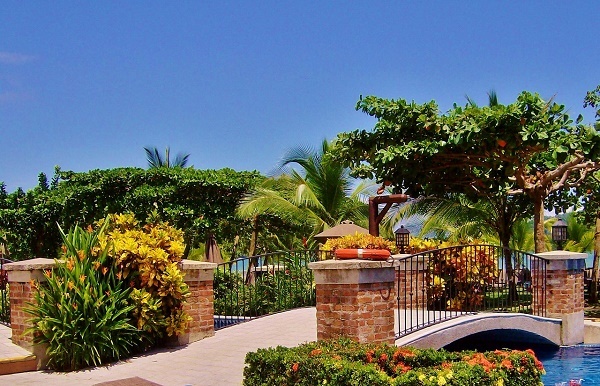 Aside from the affordability and the rapid increase in value of Costa Rican properties, most foreign nationals invest in Costa Rica because of the tropical climate and beautiful sceneries. Citizens and foreigners have the same rights when buying/owning a property, although, there is an exception if the property is located within the Maritime Zone (Ley Sobre la Zona Maritimo Terrestre), a total of 200 meters of land measured from the high tide markers. Of the 200 meters, the first 50 meters is considered public zones (Zonas Públicas), and the beaches are considered public property and no one can possess the area. The next 150 meters is a restricted zone (Zona Restringida), where titles are not allowed, but it can be leased with the permission from the local municipality. The constitution guarantees the ownership rights regardless if the property is named after a corporation or an individual. Land ownership does not require foreign nationals to become citizens. It is best to get the services of a reputable real estate company to find the right property to ensure the purchase is done properly and legally. Contracts on a yearly basis usually have an increase of 15% per year if the charge is in colones. A three year-lease contract to be paid in dollars prohibits the landlord to raise the rent. A security deposit or "deposito" is made, and will be returned when you leave the place in good condition. Fully furnished apartments or a small home with amenities will cost US$300 to US$600 in rural and selected urban areas. On the other hand, a luxury house or apartment will be more costly and will start from US$900 monthly. The cost of a three bedroom with Jacuzzi bathtubs and water heater is approximately US$1,500 monthly. In Central Valley, expats can live in the lap of a lavish lifestyle, where monthly cost of living can easily amount to us$3,000 or more. The cost of monthly rent for a 1 bedroom flat with an attached bathroom costs ₡958,662.00 to 200,000.00 while monthly rent for a 2 bedrooms furnished flat costs ₡13,581,045.00 to ₡159,777.00. Monthly rent for a 3 bedrooms furnished flat costs ₡ 18,267,837.00 to 585,849.00. Expats can find refuge in the safe neighborhood of San Jose. The largest population of expatriates settles in Escazu, which is located at the west of downtown San Jose. It is a premier suburb and is quite exclusive. The provinces of Alajuela and Heredia are fast becoming popular to expats as well. Unless you're a citizen or a resident, you can't have a phone line under your name. Expats are better off with a phone line under the landlord's name. Most of the apartments/flats for rent include phone lines that will cost approximately US$3.80 monthly. Surprisingly, the Internet connection in Costa Rica is more expensive than the US, as there are only two major companies offering cable Internet, Amnet and CableTica. Cost varies depending on the speed. Monthly charges can range from ₡ 21,479.76 to 36,515.59. The cost of cable television depends on the package offer; a basic package can start from approximately US$30 monthly plus any additional services. Monthly water bills are inexpensive and can range from US$10 to US$15. The electricity in Costa Rica is 75% produced via hydropower or wind power, which makes it environmentally friendly. The average cost of electricity is at US$0.08 per KWh, however the monthly cost will depend on consumption/usage - the more you consume, the rate of KWh will be higher. In Costa Rica, weekly services from a part-time housekeeper for 4-6 hours can cost US$15, or they may charge you US$2 per hour. A full time live-in housekeeper can cost US$200 monthly inclusive of food and lodging. A gardener cost will range from US$18 to US$20 on a daily basis. The cost of food will heavily depend on whether the consumer goods are local or imported. A budget of US$20 to US$40 (meat, vegetable and fruits) can cover a week's meal for a small family if bought in a local farmer's market. Buying expensive meats, imported wines and other imported goods at high-end grocery like Automercado could cost more than US$200 weekly budget for a small family. 1 Daily menu in business district costs ₡ 4,909 while a dinner out for two in an Italian restaurant with wine and dessert costs ₡ 28,266. Buying a new car in Costa Rica can cost twice as much in the US. Also, gas and diesel are usually higher per gallon. The current rate per gallon for the US is at US$2.89 compared to Costa Rica's rate at US$3.65. Note that 1 liter (1/4 gallon) of gas in Costa Rica costs ₡ 700 to ₡ 800. Most expatriates opt for public transportation and taxis to avoid the expensive cost of owning and maintaining a car. Bus fare is inexpensive and ranges from US$0.20 to US$0.47, and expats will pay ₡ 349.05 - 536.99 for one inner city bus ticket. The cost of a monthly ticket for public transport is at ₡ 23,889. Taxi fare starts at US$0.77. Expats should always insist on using meters, as some taxis parked outside bus terminals can quote a flat fee, which is twice as high of the cost of the metered ride. Costa Rica boasts a high literacy rate of 95.9%, hence the high number of Costa Rican graduates in the job market. By law, a foreigner cannot be employed if the position desired can be filled in by a Costa Rican candidate. Finding jobs in Costa Rica can be a tough road for expatriates, but it doesn't mean that getting a job is like finding a needle in the haystack. With an employment rate of 63%, there are agencies that recruit foreign nationals, and these are mostly jobs that can't be filled in by locals such as English teachers, English speaking tour guides, computer science and management positions. Language schools commonly teach English, although French and German are becoming more popular in Costa Rica. Online recruitment agencies provide a database for job posting in websites such as LatinTopJobs and TicoJobs. Ecotourism, software development, financial outsourcing and pharmaceuticals are the stronghold of Costa Rica’s economy. Another vital component of this country’s financial stability is the tourism sector which generates more foreign exchange than the combined revenue of the country’s three primary cash crops: coffee bananas and pineapples. Expats who have experience in the production of coffee beans also have employment opportunities since Costa Rica is famed across the world for its gourmet coffee beans that are grown in several large farms in the provinces of Heredia, Cartago, Puntarenas, San Jose and Alejuela. Other major job industries in Costa Rica involve microprocessors, textiles and clothing, construction materials, fertiliser and plastic products. Another industry that is thriving is the BPO or Business Process Outsourcing, with a fast-paced and competitive environment. Speaking in Spanish can be an advantage in getting a job. 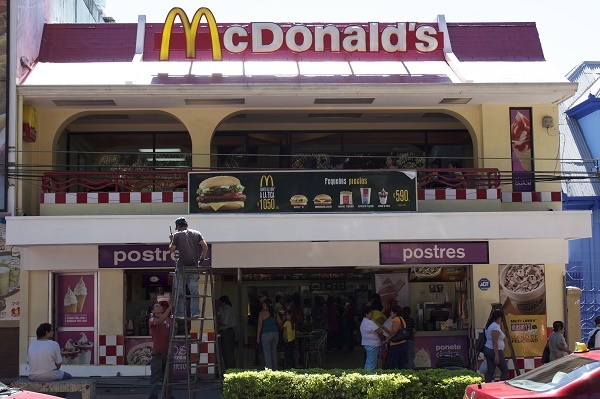 Costa Rica is home to multinational companies like Microsoft, Intel, Motorola, among others. In Costa Rica, the maximum hours of work depend on the type of working days, which is classified into two categories - normal working days (or Jornadas Ordinarias Normale) and special working days (or Jornadas Especiales o de Excepcion) that can be broken into the day or night shifts. Employees get an annual Christmas bonus or "aguinaldo" (13th month), which is not subject to social or income tax. It is equivalent to a month's salary for a year's work, or an amount proportionate to the time worked, if it is less than a year. All residents that are part of the workforce are subject to monthly income tax at 15%. The fiscal year of filing taxes in Costa Rica is every 30th of September.